Graphic Sports specializes in logo embroidery services on men’s and women’s custom work uniforms and embroidered apparel, corporate clothing, and selected promotional products. 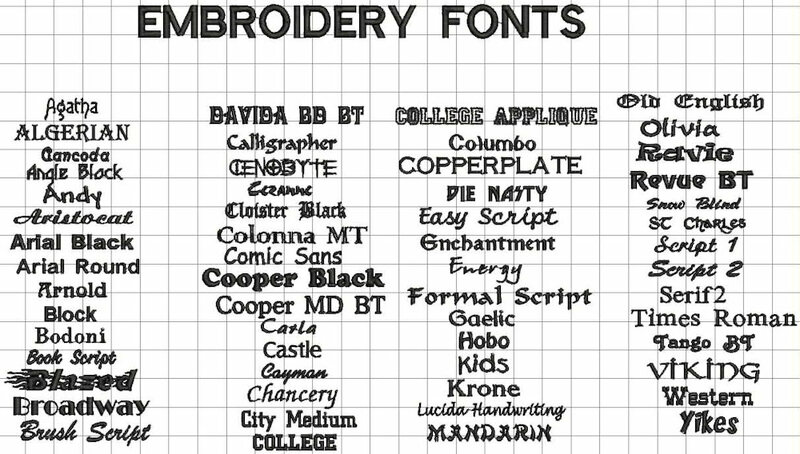 There is a one-time logo set-up fee for image-to-stitch conversion for digitizing logo embroidering, so if you use the same logo on subsequent orders the set-up fee is waived. We have a large showroom and warehouse and have modern embroidery equipment. We have the capacity embroider up to 1000 items a day, so we can offer quick turnaround on most orders. We also offer 3D Puff logos on hats. We ship to customers all over the U.S. Custom embroidered products are a classic choice for business and professional apparel, as well as great looking logos on team apparel, hats, jackets, bags, and more. With custom logo embroidery, the design is stitched by our automated machines on to your apparel for a clean and consistent result. To learn more about our custom embroidery services call us at 1-888-458-8971. Not only can we do custom embroidered shirts, we also offer other apparel items such as mens polos, bags, hoodies and hats. We offer a wide selection of embroidery threads colors to choose from to create the perfect custom embroidered design for your polos, hats and other garments. Our experts can also help you select the perfect thread for your logo. From jackets to hats, aprons polos, embroidery can be applied to virtually any garment! Offering even more options than ever before! For low prices and guaranteed satisfaction, trust your custom logo embroidery services to Graphic Sports. We’re located in Fort Worth, Texas but our custom embroidery digitizing services attract customers from across the United States.